HARRISON, Francis Burton, a Representative from New York; born in New York City December 18, 1873; was graduated from Cutler School at New York City, from Yale University in 1895, and from the New York Law School in 1897; instructor in the New York Night Law School 1897-1899; was admitted to the bar in 1898; served during the war with Spain in Troop A, New York Volunteer Cavalry, from May 19 to June 20, 1898, and was captain and assistant adjutant general, United States Volunteers, from June 20, 1898, to January 31, 1899; elected as a Democrat to the Fifty-eighth Congress (March 4, 1903-March 3, 1905); did not seek renomination in 1904, but was an unsuccessful candidate for Lieutenant Governor of New York; elected to the Sixtieth and to the three succeeding Congresses and served from March 4, 1907, until his resignation, effective September 1, 1913; Governor General of the Philippine Islands 1913-1921; resided in Scotland 1921-1934; appointed adviser to the president of the Philippine Commonwealth in November 1935 and served for ten months; in May 1942 was again appointed to the same position; United States Commissioner of Claims in the civil service of the United States Army in Manila from November 1946 to February 1947; served as an adviser to the first four presidents of the Philippine Republic after their independence in 1946; resided in Spain for six years, returning to Califon, Hunterdon County, N.J., in August 1957; died in Flemington, N.J., November 21, 1957; interment in Manila Cemetery, Manila, Philippines. About the diary: The entries used come from Harrison, Francis Burton. Origins of the Philippine Republic: Extracts from the Diaries and Records of Francis Burton Harrison. New York: Cornell University, 1974, which has now been made freely available as a digital document online in the eCommons digital repository of Cornell University. However, the footnotes and other comments by the editor of the 1974 edition, Dr. Michael P. Onorato, have not been reproduced. Another version of the typescript with editorial marks and comments for publications, exists in private hands in Spain. 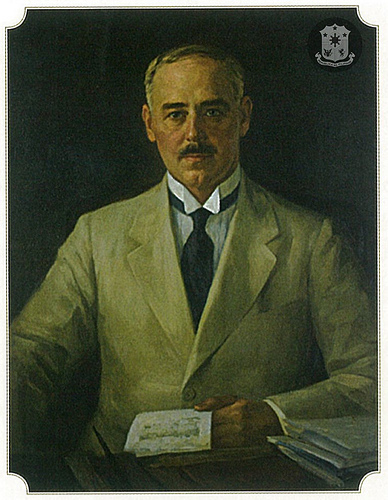 The pages which follow are taken from a diary recording experiences and conversations with the late Manuel L. Quezon when he was President of the Philippine Commonwealth, and with many others: Filipinos, Americans, as well as foreigners in the Philippines; their views as reported herein may fairly be said to represent public opinion there and later in Washington on the progress of the Philippine people toward the creation of a free and independent republic. 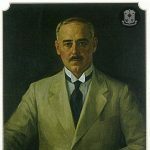 The writer served as Governor General of the Philippines under President Woodrow Wilson from the autumn of 1913 to the spring of 1921, and has subsequently been adviser to all four of the Philippine Presidents. But the events recorded in this diary are chiefly confined to two periods of Philippine history, from the autumn of 1935 for nearly a year, and again for the period of the life of the Philippine Government-in-Exile during its existence in Washington, D.C., under President Quezon from May 30, 1942, to the death of Quezon in August, 1944. If occasional passages reporting the doings and sayings of the late President Quezon appear indiscreet, it may be stated most positively that this brilliant leader and statesman knew throughout these conversations that his expressed opinions were being recorded from day to day and that they would eventually be printed by the present writer. Since the author of this diary is unfortunately quite ignorant of shorthand, the record had to be kept, often late in the night after the events of each day, in longhand. This old-fashioned method of reporting has, most unfortunately, failed to capture all the fire and originality of expression peculiar to the gifted leader of the Filipinos. He sometimes urged my collaborating with him in the writing of a book on the preceding forty years of Philippine history, but such cooperation would merely have resulted in an experience for the present writer such as Jonah with the whale. Quezon was dynamic, restless and volatile by disposition, and the knowledge that he was “talking for the record” was ever present in all his conversations with the present writer during the periods covered by this diary. This, no doubt, stimulated his brilliant histrionic talents, which he usually found agreeable, as indeed, it was to the one who kept the record. Ordinarily, the experiences of an adviser to a chief executive are shrouded in some mystery. But President Quezon was a singularly open and frank man –even of history he had no fear. A genuine attempt has been made in the pages which follow to write down all events entirely objectively and impartially, and to avoid the expression of the writer’s own ideas and opinions, but no doubt this “consummation devoutly to be wished” has occasionally proved to be beyond the writer’s own powers of self-control. This book is intended primarily for the author’s family and friends, but it is possible (partially in view of the destruction of most of the relevant Philippine archives at the time of the Japanese invasion), that it may serve some purpose as source material for students engaged in research into the great American experiment of extending to a race of far-away people the original American ideas of political liberty to be gained through self-government leading ultimately to complete independence. This latter the American people on July 4th, 1946, gave in full measure to the inhabitants of the Philippine Islands, with resulting impact upon the lives and purposes of other nations in the Far East. My grateful thanks are due to Mr. William Bird, now of Tangier, who helped so greatly in the preparation of the manuscript for the printer and in friendly advice as to the format of the book; and to Mr. David Bernstein of Washington who first read the manuscript and encouraged me to have it printed.